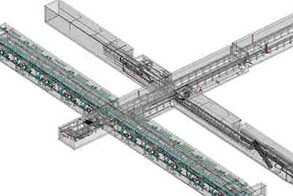 TruePoint’s team of in-house engineers, architects and CAD technicians can produce custom deliverables for your project, ranging from point cloud data to 2D drawings and 3D models. 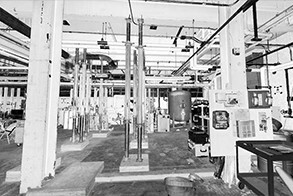 Deliverables can be provided at any level of detail in a variety of formats including AutoCAD Plant 3D, Navisworks, Bentley MicroStation, Revit, AutoCAD MEP, or simple AutoCAD solids. 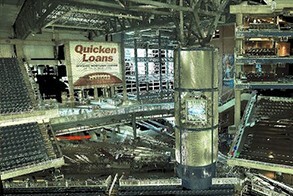 Colorized point cloud of manufacturing facility. Intensity map point cloud of sewage pumping station. 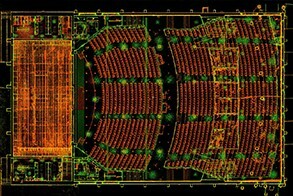 Top view of auditorium point cloud. 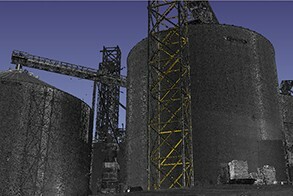 Point cloud of grain silo. 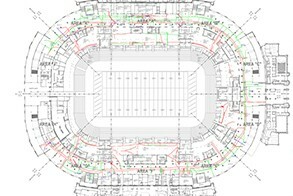 Point cloud of NFL stadium interior. 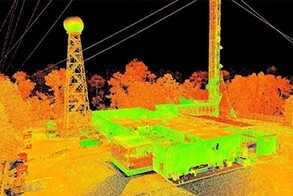 Intensity map point cloud of transmitter tower and facility. 2D plans of New York City hotel. 2D drawings of grain silos and overhead bridges and conveyor. 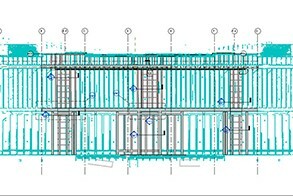 2D drawing of airport facility with dimensions to prefabricate a ceiling panel system. 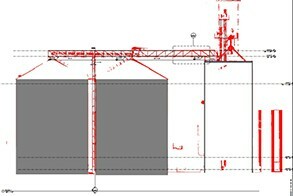 2D drawing of building section. 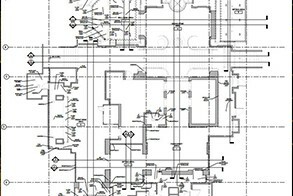 Structural framing plan of sewage pumping station. Utility site plan of college football stadium. 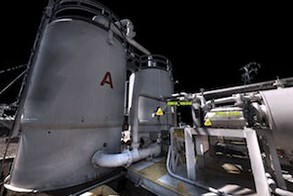 As-built BIM model of water treatment facility. 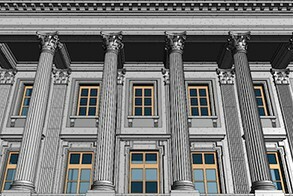 3D BIM model of historic building in Philadelphia. 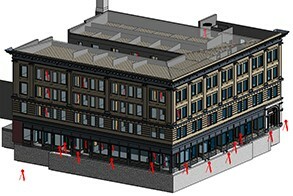 3D Building Information Model (BIM) of historic building in Denver. 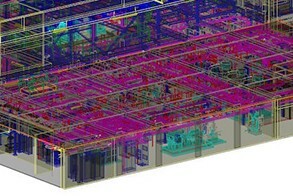 3D wireframe view of interior of power plant. LOD 300 MEP model of sewage pumping station. 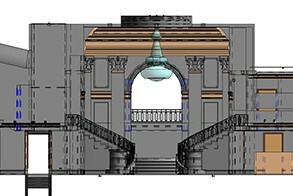 3D model of Philadelphia hotel lobby and grand staircase. 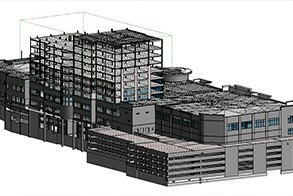 3D BIM model of interior and exterior building structure for design/build project. 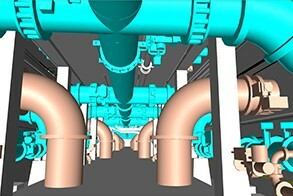 3D model of main pipe gallery in water treatment facility. 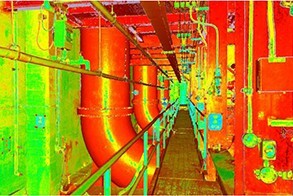 Black and white point cloud TruView of boiler system in a Heating Plant. 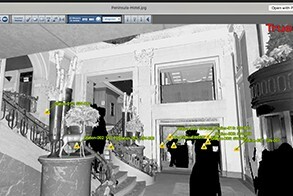 Leica TruView of city block in Detroit, Michigan. 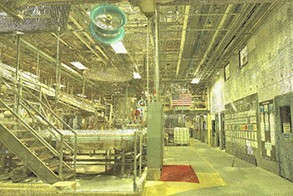 Color photo TruView of the Vapor Recovery Unit at a Fuel Distribution Company. 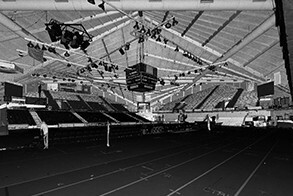 TruView of college basketball arena. 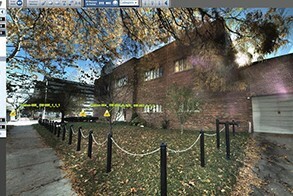 TruView site map of city block. 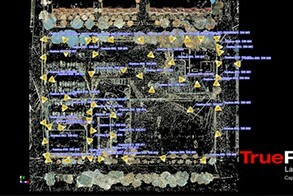 This is a simple fly-thru of a point cloud that was created using LiDAR based 3D laser scanning technology.